Announcements / Jupiter Hell BETA 0.3.0 Released! The Beta is here! If you're a Beta backer or above you should by now have received an e-mail from us with the Beta 0.3.0 Steam Key - check your spam folder! If you can't find it, please get in touch with us. You can read more about the release on the Jupiter Hell website! Announcements / Jupiter Hell Alpha 0.2.0 Released! We've reached the Alpha 0.2.0 milestone - which means, Beta 0.3.0 is just around the corner! 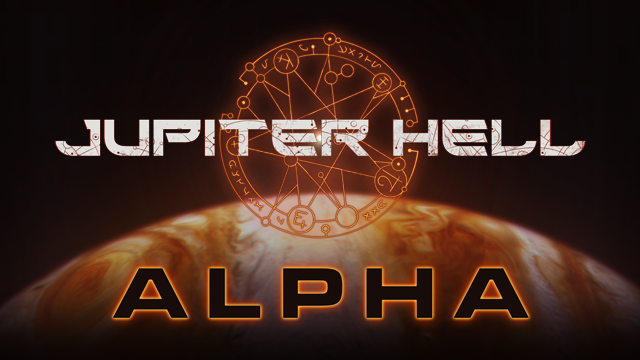 If you're an alpha level backer check the Jupiter Hell Alpha subforum to read release the notes and download the alpha. It's available for both Windows and Linux. Read the full Alpha 0.2.0 update at the Jupiter Hell website! I'm posting this design discussion in General, as I need as much feedback on this as possible. As you may now, we're trying to make Jupiter Hell as accessible as possible, but at the same time we're trying not to lose tactical depth and the choices involved. Usually I manage to find a reasonable compromise for that with the mechanics, but now I hit a problem. I have a plan for a fairly complex damage calculation system, but I'm afraid it will not be very easily understandable to the casual players. We already decided that weapons in JH will have constant damage (for simplicity and tactics vs randomness sake), however we also want different weapons to interact differently with different enemies (resistances/armor). Apart from different weapons there will be also different ammo (think armor-piercing or hollow point) usable with the same weapon type that will have different characteristics. We have damage types (impact, slash, piercing - more to come like plasma, fire etc), beings have health and armor. Armor is a single number with a set of resistances. In general, impact is default (no modifiers) so just take the damage, substract the armor, and that is the amount of HP damage. Slash damage (used by shotguns, maybe we'll change it to shred instead) and piercing works the same, but doubles or halves the armor value respectively, so a 9 damage slash shot against a armor 2 enemy deals 9-2*2 = 5 damage. This is simple, although more complex than say XCOM, but it works. However, I have problems with - is it easily understandable? Is there a way to easily communicate the system to the player? This is not something that could land in a tutorial (it's too deep mechanics) and without tooltips it would be hard to convey this to the player - any idea how to list that information on the player screens? Finally, it might be confusing for casual RPG players, that by default from the get go you have different resistances for piercing/slash as the player. Announcements / Jupiter Hell Alpha Released! After many months of hard work, with much love and support from our community, we have now shipped Jupiter Hell's first Alpha release! We're now on Alpha 0.0.1, which is a good start. 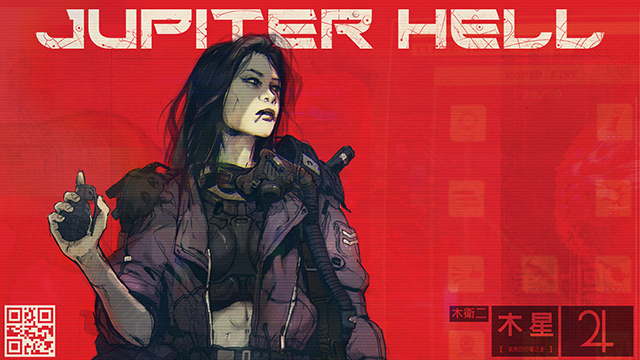 Read the full Alpha update at the Jupiter Hell website! Announcements / Jupiter Hell Kickstarter - Year 1 update! 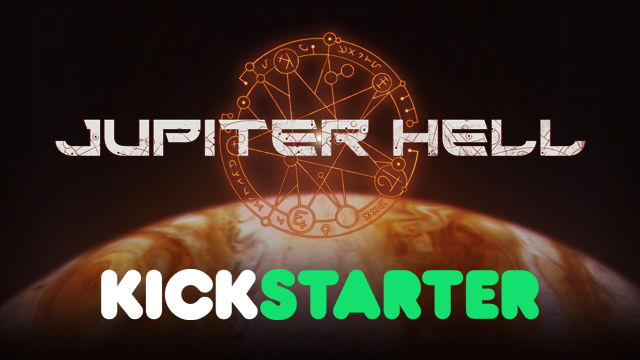 Announcements / Jupiter Hell Kickstarter is LIVE! Announcements / Jupiter Hell Teaser Trailer, coming to Kickstarter November 15th! Here you can finally see some snippets of Jupiter Hell gameplay in action, hear some of the glorious metal soundtrack being composed for the game, and also treat your ears to the growling tones of Mark Meer (Commander Shepard of Mass Effect) who will be voicing the marine in Jupiter Hell! Just because we're silent, doesn't mean nothing is happening - quite on the contrary! We're extremely busy now preparing teasers, trailers, videos and pages for the Kickstarter which will launch mid-November, stay tuned! We'd also like to remind you that we're streaming development on epyoncf@twitch, not only every Wednesday at 5 UTC, but recently almost EVERY day at a similar hour! In the meantime though, we took a break to bring you another Dev Talk! Feel free to discuss, ask questions, or give feedback! Announcements / Jupiter Hell reddit is live! To all people preferring reddit as their main news source, we've got good news for you - Jupiter Hell has now an official subreddit! 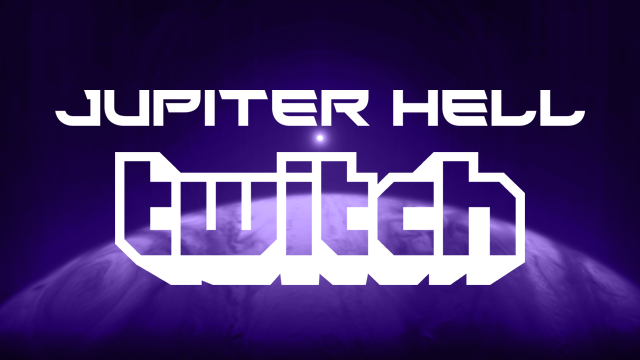 Announcements / Jupiter Hell development stream on Twitch! 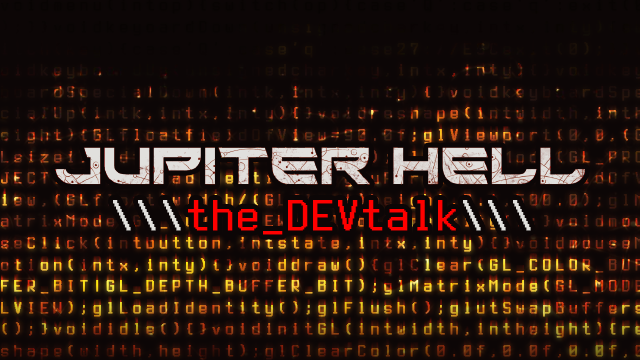 We'd like to invite you, to what we hope will become a regular feature on the Jupiter Hell website - a series of behind the scenes articles about the game's development! The first Dev Talk is an overview of our currently ongoing implementation of physics and how it relates to the turn-based roguelike we're creating. Feel free to ask questions, and tell us if you enjoy such content? Do you want more such technical rants? Should they delve deeper into technical aspects, or should they be more of a feature discussion and rant for everyone to enjoy? Announcements / New Jupiter Hell website! Jupiter Hell website has been updated! As we approach closer to the Kickstarter, we're dedicated to provide you with a much more regular stream of updates. The previous webpage was just a placeholder (so was the teaser! ), so we're happy to welcome you on this much cleaner version! We'll be posting progress updates here, showcasing new screenshots, possibly even doing a devblog kind of post from time to time. More importantly, once the Kickstarter deadline is set in stone, you'll be presented with a epic and exciting countdown :P. If you notice any problems with the website, please do not hesitate to e-mail us! To celebrate the new website, enjoy a batch of eight brand new screenshots from the current development version. You might notice that there are still some visual bugs present, and also we might still up the quality a bit, but they are already quite representative of what we are aiming at. Expect to see a fresh batch with new content (and a new tileset!) before the Kickstarter launches! Announcements / Jupiter Hell: First public screenshots! ChaosForge is not dead, quite on the contrary! This is a long overdue post, because as some of you may have noticed, we already published the first screenshots on ChaosForge Facebook more than a week ago. To offset that, we decided to post more screenshots here, in their original quality! This is still WIP quality, many more improvements are planned, and things are subject to change! See the official status update on the forum for HQ screenshots! In the next version, I want to tone down the assemblies, to put them on a power level similar to exotics. This isn't always true, especially in the case of Nano-mod based assemblies. In theory I aim for assemblies to be a tool for high-level players to guarantee needed exotic level of equipment, not a "I must do this to win" button. A good unique should always beat a assembly. Hence, I need a ranked list of assemblies, with possible comments on which ones are overpowered, and (REALLY HELPFUL!) how to nerf them in a way that wont make them useless.